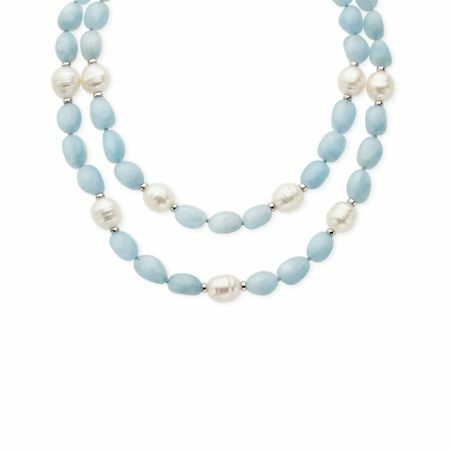 Perfect for pearl lovers looking for a fresh twist on the classic strand! Glossy freshwater ringed pearls measuring 8-13 mm alternate with gleaming baroque aqua quartz on a necklace finished with a sterling silver clasp. Piece measures 36 inches in length.